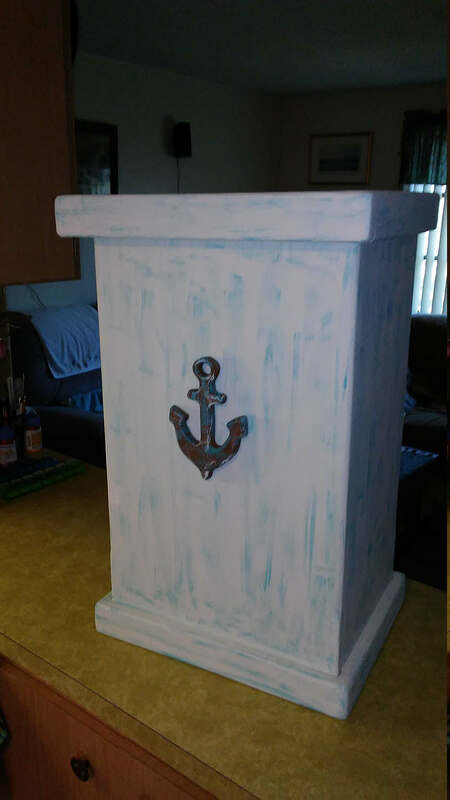 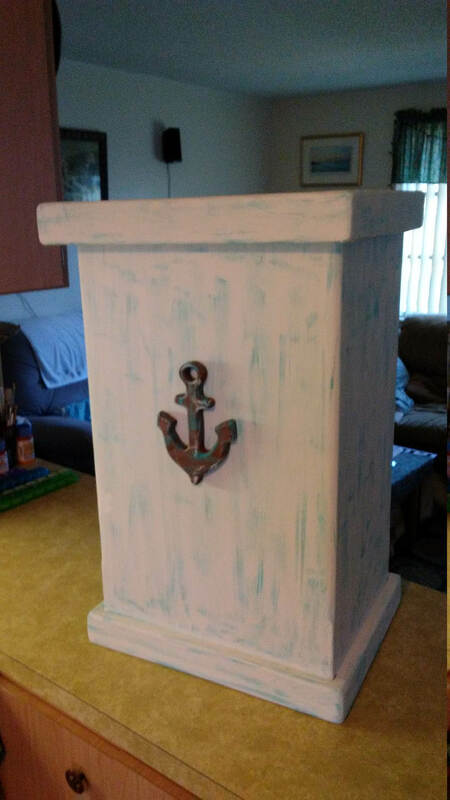 This functional trash can comes complete with piano hinged lid is hand-crafted from solid Pine Wood and finished in a distressed white and nautical blue complete with distressed anchor on the front. 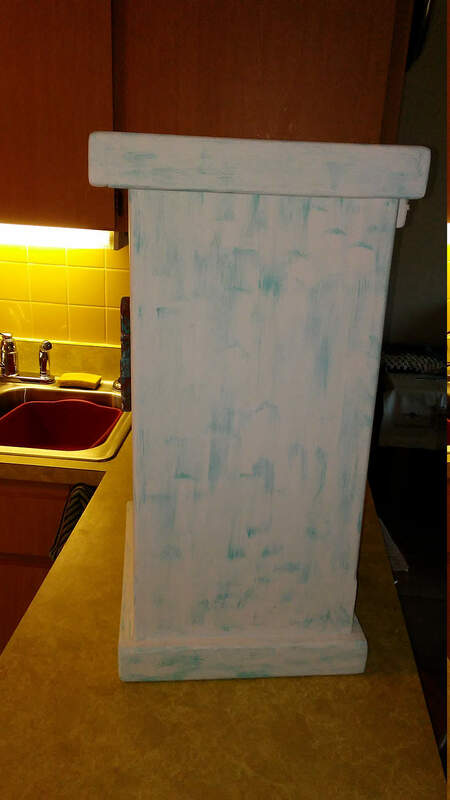 It measures 28" Tall by 16" Long by 13" Wide and accommodates standard kitchen garbage cans. 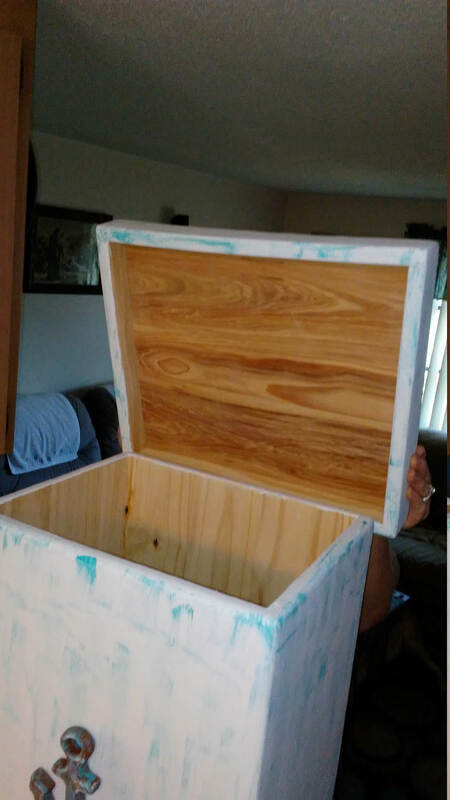 We can also put a fish skeleton or dolphin on the front - or something special to you...As with any Wood Nook production complete customization available - size and width changes are available - call us with any questions - we will be happy to help! 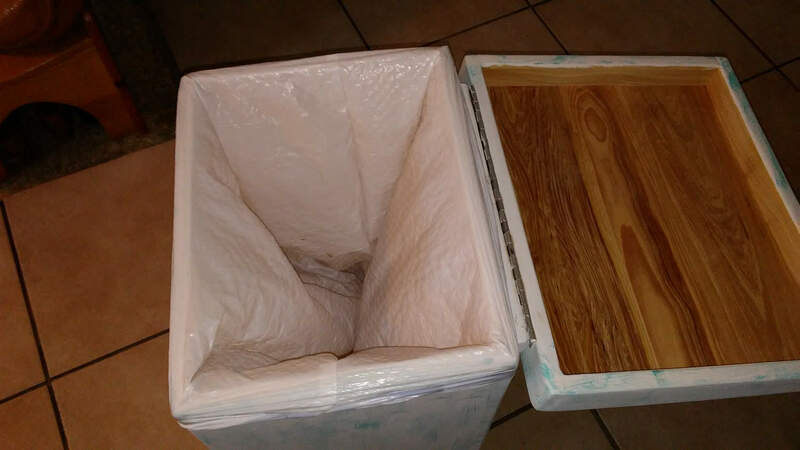 941-830-2338 or email us at: woodnookllc56 [!at] gmail.com.